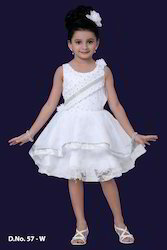 Exporter of a wide range of products which include flower print girls frocks, short girls frock, girls sleeveless frock, stylish girls frocks, girls white frocks and polka dots girls frocks. 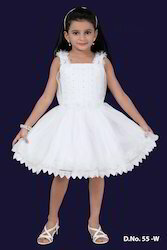 Owing to the creative spur of our designers and craftsmen, we are offering an alluring collection of Stylish Girls Frocks. 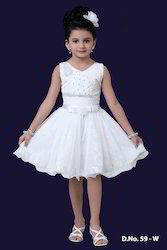 The entire ranges of Fancy Girls Frock have an excellent combination of style and comfort which is prepared by experts by using latest techniques and machines. These Midi Frocks by using skinfriendly fabric which is liked by girls and they prefer to wear our collection more comfortably. 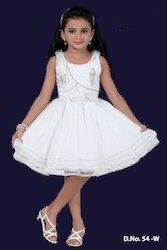 We have with us an exclusive assortment of Girls Long Frock, which is considered to be one of our specialties. These are stitched using superior quality fabric at our vendors' end, to assure optimum comfort to the kids. Besides, we ensure that these are made using quality embellishments, as a result of which, the designs are appreciated and liked by the clients. We offer these to the customers at leading market prices. 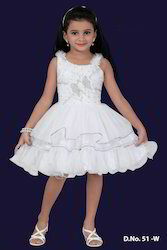 Looking for Girls Frock ?